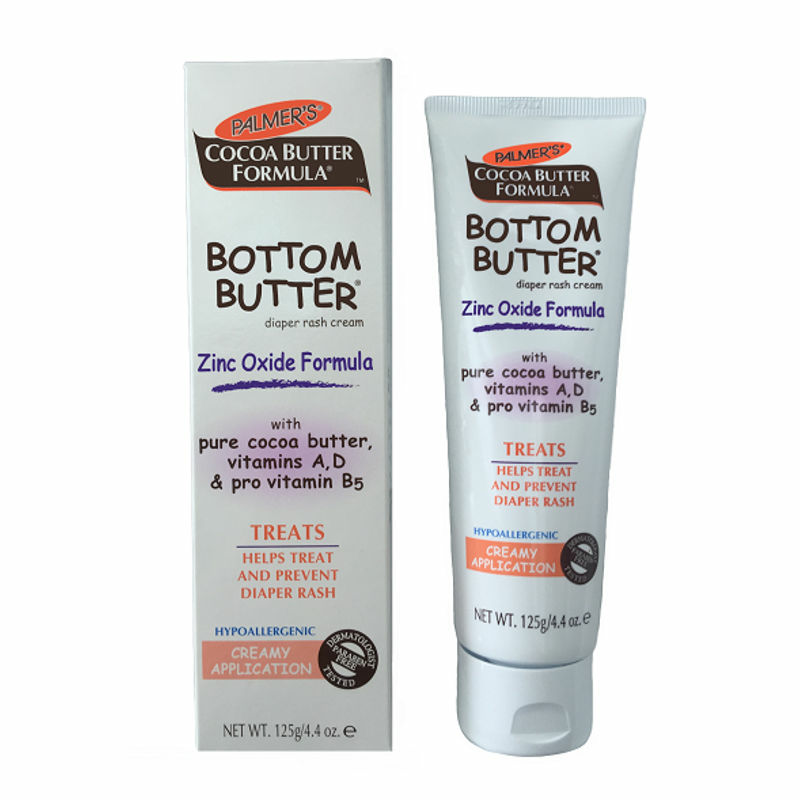 Palmer's Cocoa Butter Formula Bottom Butter contains 10% Zinc Oxide to help treat and prevent diaper rash by providing a protective, moisture- resistant barrier. Our creamy formula with pure Cocoa Butter, Vitamins A, D and Pro Vitamin B5 spreads easily onto baby's sensitive skin. No messy clean up. Use daily to keep baby's skin soft, supple and smooth. Diaper rash cream enriched with Zinc Oxide Formula. Helps treat and prevent diaper rash whenever rashes occur. Pure Cocoa Butter, Vitamins A, D and Pro Vitamin B5. Zinc Oxide: Helps treat and prevent diaper rash by providing a protective moisture-resistant barrier. Additional Information: E.T. Browne Drug Company is one of the longest standing proprietors of skin and hair care products in the United States. The revolutionary brand, Palmer's known for its highest quality skin care products, has long standing heritage and experience in offering superior formulations that deliver lasting results. Palmer's uses only the finest ingredients to provide consumers the highest quality formulas at prices that everyone can afford. Palmer's has a global presence, available in over 80 countries offering the #1 Cocoa Butter brand in the world. Explore the entire range of Rash Creams available on Nykaa. Shop more Palmer's products here.You can browse through the complete world of Palmer's Rash Creams .